The beginning of the fall semester is always an enjoyable time as we welcome new and returning students to campus. On the cover of this edition of the OBU Magazine is a photo taken during Welcome Week of our incoming freshmen and transfer students joining with upperclassmen and employees to worship together as a family of believers. This is a tradition on Bison Hill that many of our alumni look back upon with fond memories. In preparation for the fall semester, we completed two renovation projects on campus this summer including interior updates to Agee Residence Center and remodeling and repurposing spaces in the Geiger Center. Our faculty and staff are committed to delivering the best academic experience possible along with providing support, encouragement, and personal and spiritual growth opportunities for our students. Because of our employees’ dedication and faithful service, The Wall Street Journal recently recognized OBU as the second highest ranked university in the nation for student engagement. These rankings included 968 colleges and universities of all types and sizes. We are proud of the accomplishments of our faculty and alumni and enjoy recognizing them for their successes. 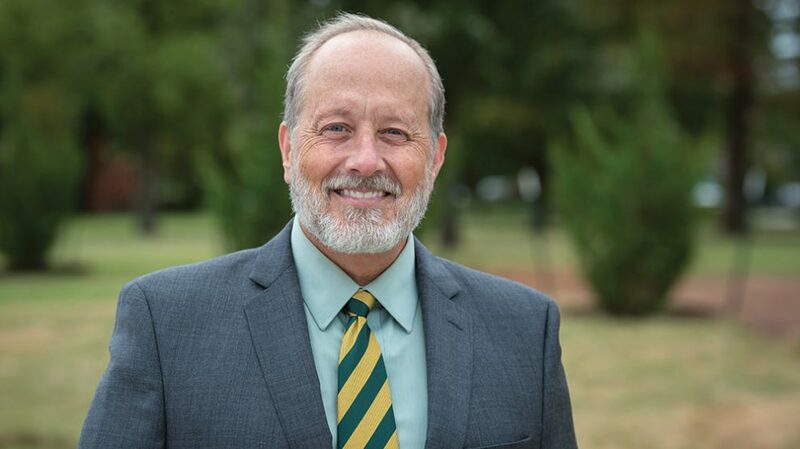 OBU’s 2018 Distinguished Teaching Award recipient has a passion for transforming students’ lives both inside and outside of the classroom, while our 2018 alumni award winners live out their callings as they work in the fields of music and higher education. You will read about both of them in this edition. OBU’s commitment to excellence also is displayed by our athletes and coaches as they strive for success not only on the field or court, but more importantly, in life. With a total of 550 collegiate athletes, our second year of full NCAA Division II membership is well underway. Volunteer chaplains provide spiritual and personal support and serve as mentors for these student athletes. Each year, we commission hundreds of students and mentors to take the gospel to the world. This summer one of our many Global Outreach trips took several nursing students, an alumna and a nursing professor to Indonesia to use their skills at a local hospital and to visit an English support community. Both experiences opened doors to share the gospel with those who needed to hear. We ask for your continued prayers as we seek to fulfill our mission as a Christian liberal arts university to transform lives by equipping students to pursue academic excellence, integrate faith with all areas of knowledge, engage a diverse world, and live worthy of the high calling of God in Christ. May God bless you as He continues to bless OBU.